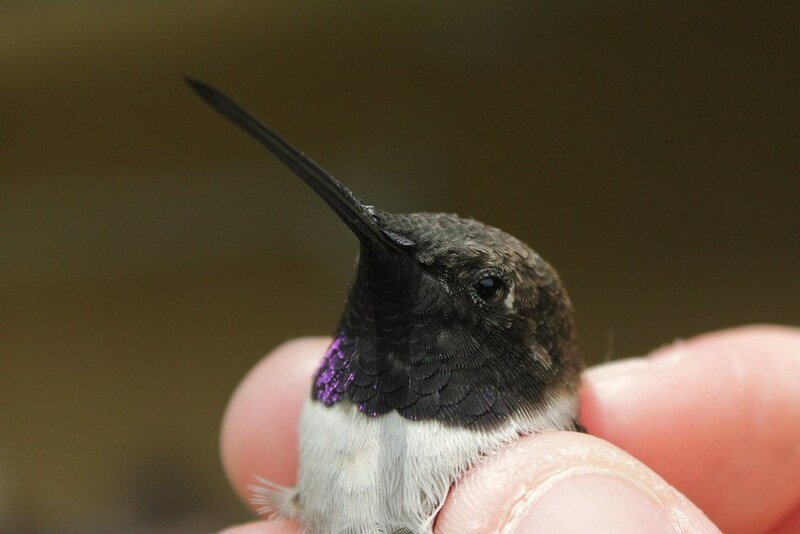 This morning Jessica Pollock, Jay Carlisle, Heidi Ware, and I went up to Jennifer Alban’s famous front yard to do a hummingbird banding demonstration for some friends Jennifer had there. 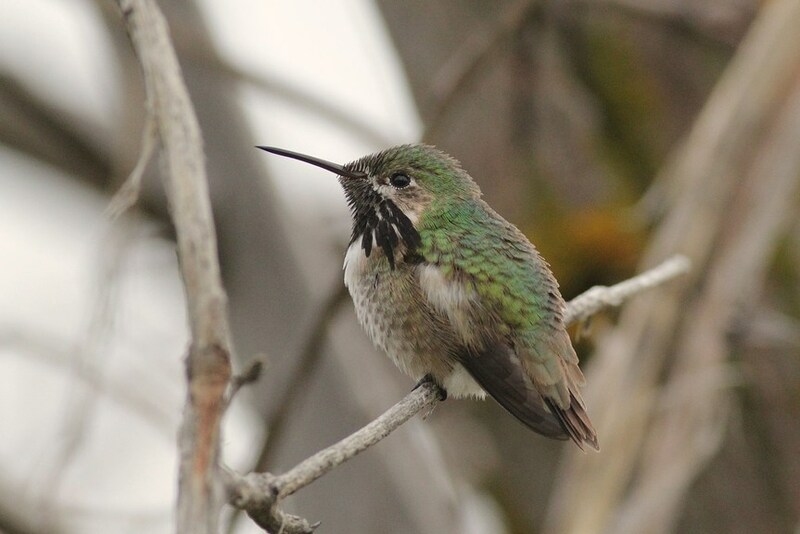 Jessica and Jay also wanted to see if Jennifer’s yard could also potentially be an official location they could band Calliope and Black-chinned Hummingbirds on a more regular basis for the (Hummingbird Monitoring Network), and the (Idaho Bird Observatory) where we all work. 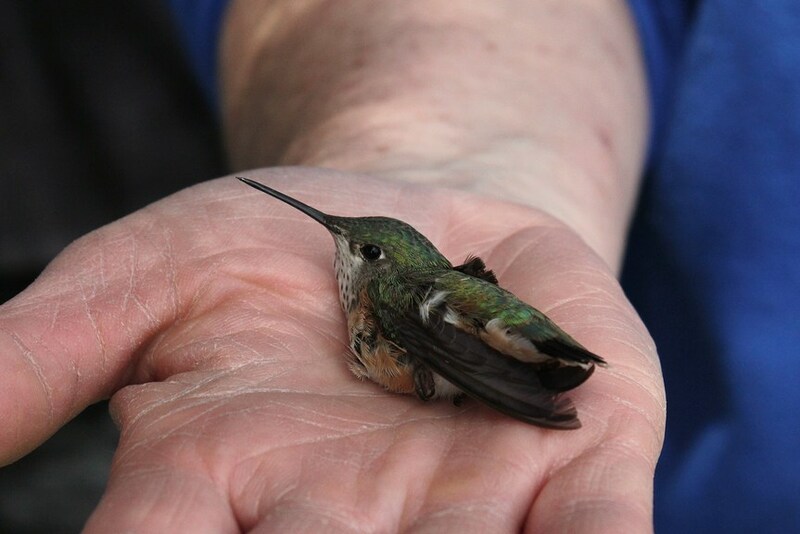 Jennifer’s yard was loaded with birds! There were Cassin’s Finch and Pine Siskin everywhere as well as Stellar’s Jays, Western Tanagers, Black-headed Grosbeaks, and a White-headed Woodpecker, and many other species. 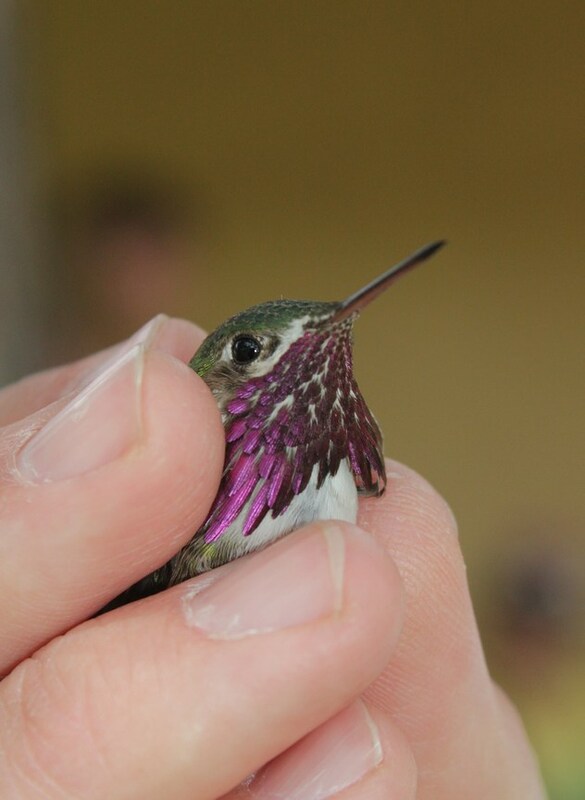 But most importantly there were TONS of hummingbirds! 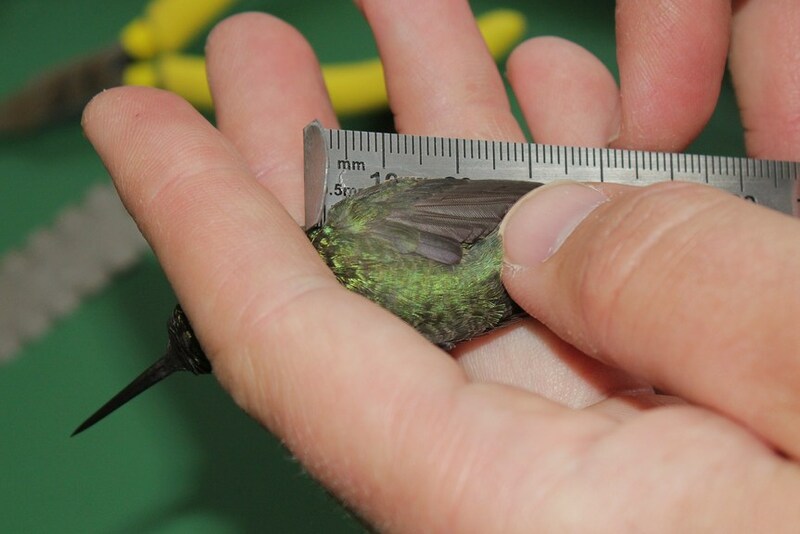 We took down all but two of the hummingbird feeders and then placed the traps around the remaining two and we instantly had both Black-chinned and Calliope Hummingbirds coming into the trap; all we had to do was drop the mesh sides and the birds were ours to band and release. 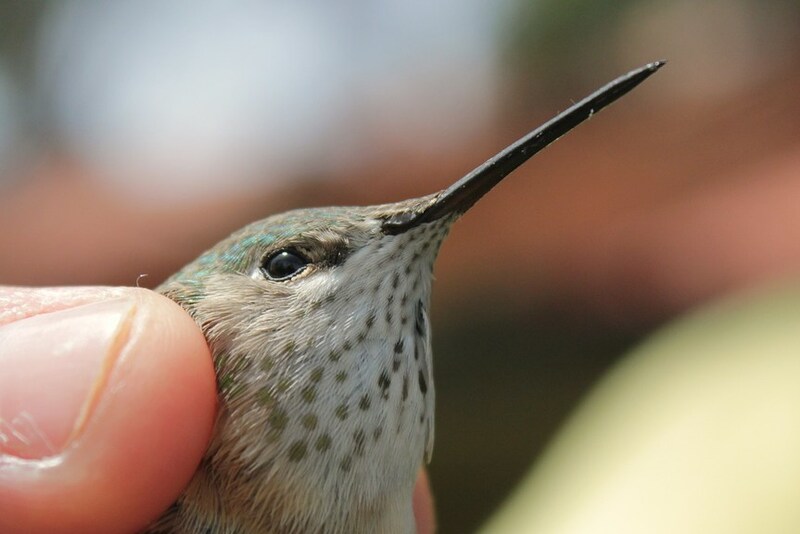 We ended up catching 10 hummingbirds total (4 Black-chinned and 6 Calliope) although we could have easily caught many, many more! Below are some photos I took today! Band on a Calliope's leg! 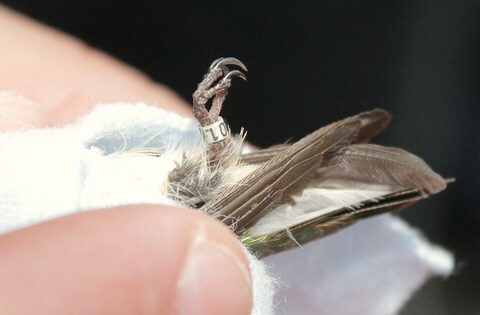 So small! 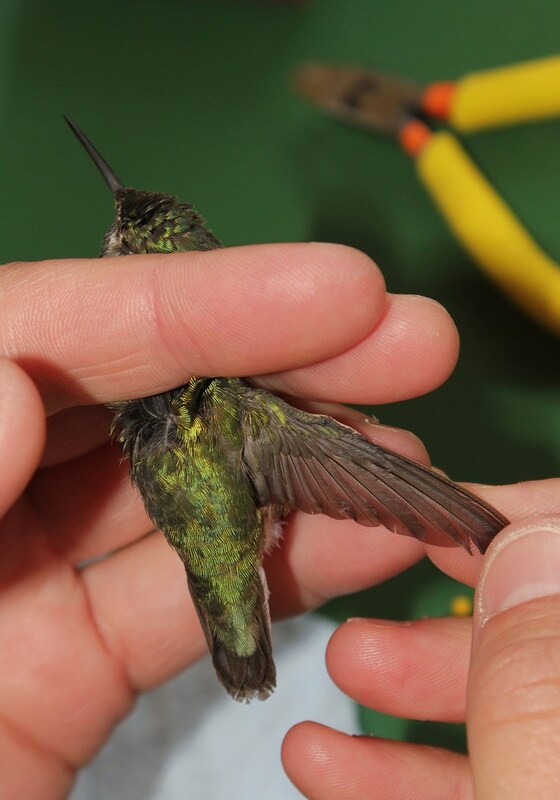 Female Calliope Hummingbird about to fly away after being banded!